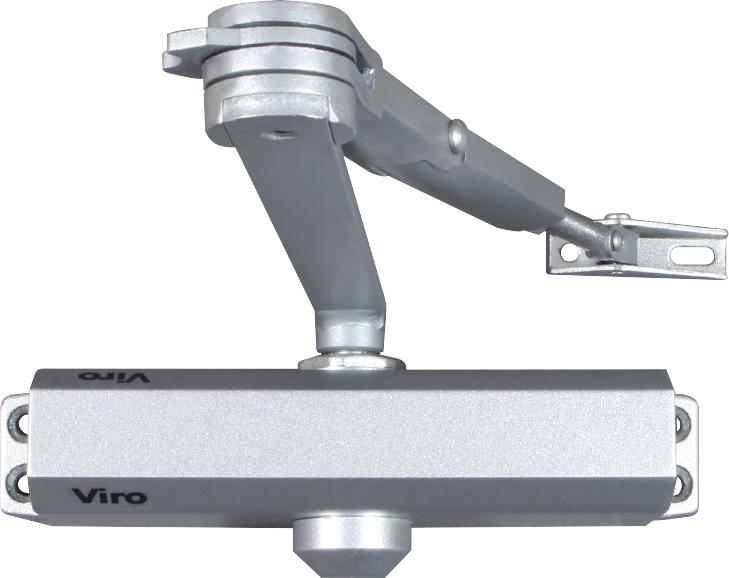 VIRO series doorclosers are adjustable strength and therefore suitable for wooden or metal doors (right and lefthand) of different widths and weight and can be installed either on the door (standard installation) or on the door jamb (reverse installation). 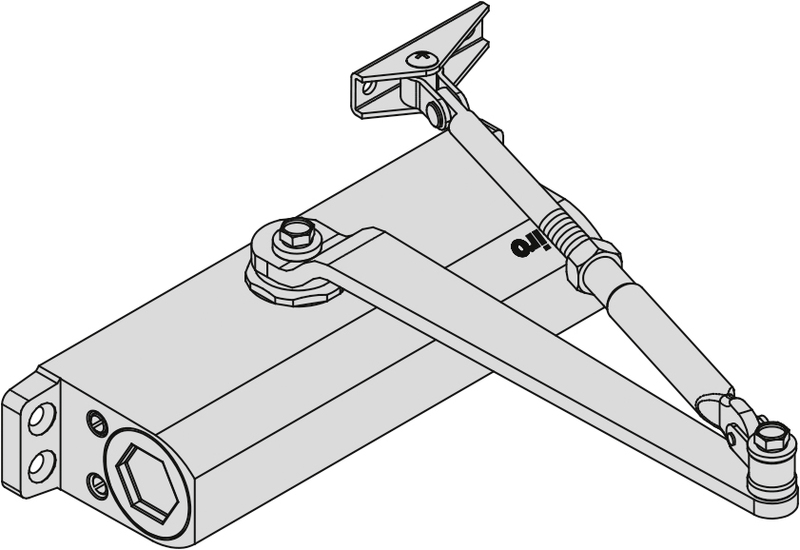 one-piece painted pressure-cast aluminium. Standard colours: grey or black. 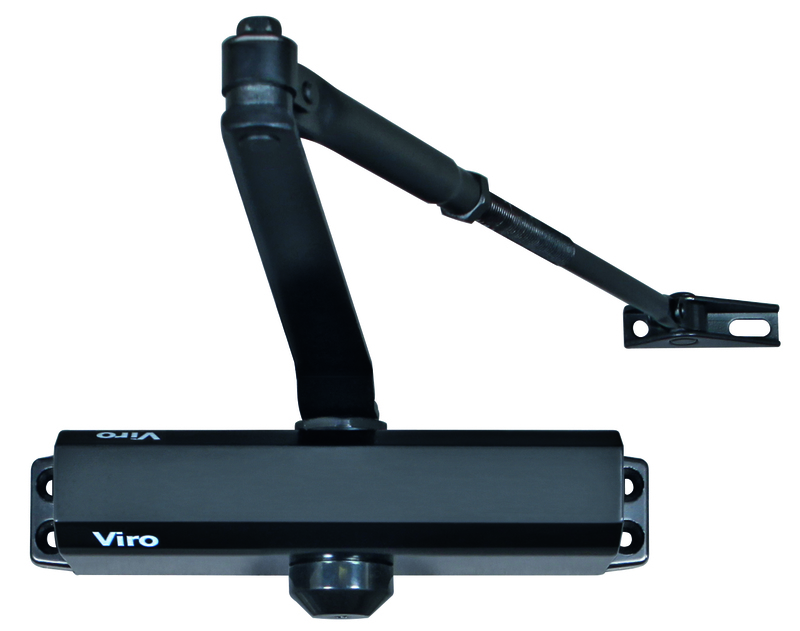 steel, adjustable length, allowing a stroke of 80 mm. 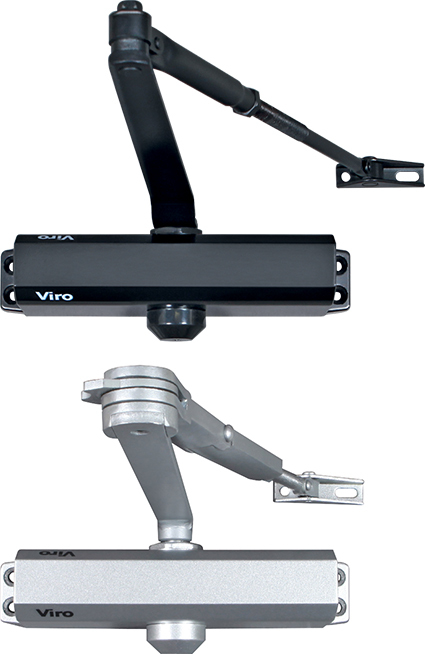 adjustment kit for replacing the most common doorclosers with the Viro doorclosers (128 series) without having to change pre-existing holes. 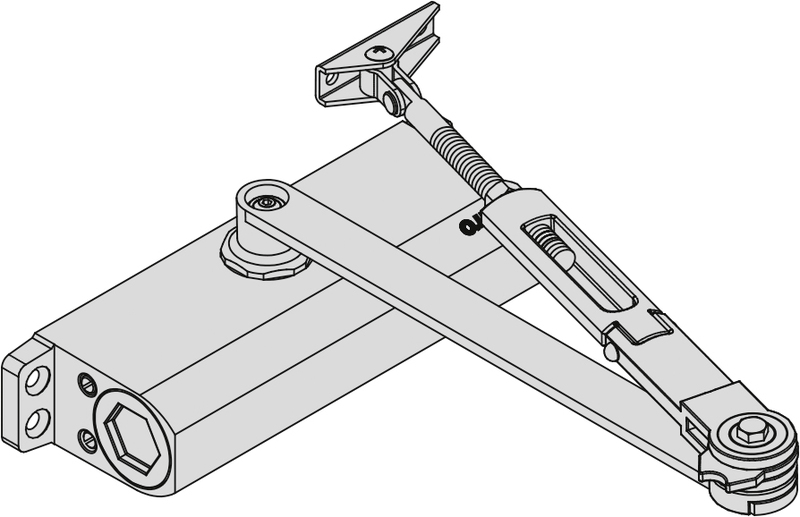 Consists of:	5 mm thick steel fixing plate;	4 screws for securing the VIRO doorcloser to the fixing plate.